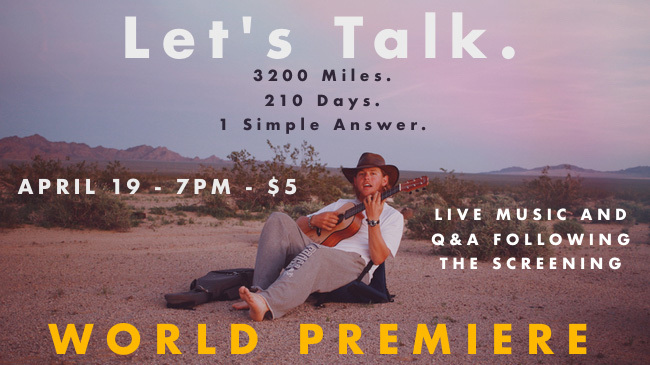 Musician and social educator Chris Andrews will premier his documentary ‘Let’s Talk’, the story of his walk across America. In 2017, Andrews walked 3200 miles to research the effects of smartphone overuse. This event includes a talk from Andrews about his project, a live performance of the music he wrote along the way and Q&A.